Blue Frog/APystems microinverters are unparalleled for speed and ease of installation. 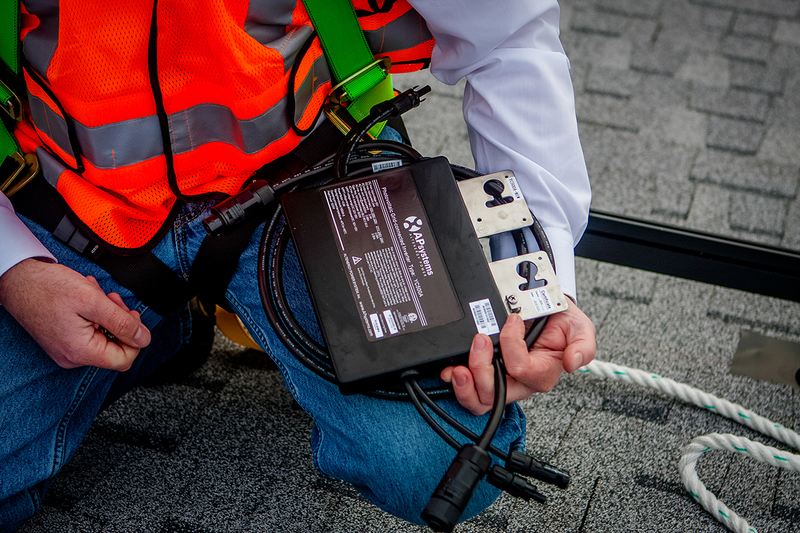 The new online video training series from APsystems guides installers step by step through the fast, hassle-free installation and setup of the flagship YC500A microinverter. The 12-part series covers fundamentals, tips and best practices for professional installation and system registration. The video series is designed for registered, professional solar installers, and complements our online training webinars, technical manuals and other support resources. Each video is hosted by Christopher Barrett, Director of Engineering and Technical Services for APsystems USA. The series runs about 24 minutes, with installments viewable individually or in a single video. You can view these and other videos on the APsystems YouTube channel http://youtube.com/APsystemsSolar or here on their website. Brimma Solar recently completed its 500th solar installation using Blue Frog/APsystems microinverters – a landmark achievement for the five-year-old installer. The Seattle-based outfit has served solar customers all across Washington state and up and down the I-5 corridor. John Harley, vice president for production for National Solar/Brimma, is a big fan of Blue Frog/APsystems microinverter technology, as he notes in this recent testimonial. The video was shot on location at an installation in Poulsbo, WA, near the Blue Frog assembly and distribution facility. Congratulations to Brimma Solar for a great achievement! We look forward to partnering with you through the next 500 installations. Blue Frog’s HOT ‘Summer of $16K’ rebate is here! Summer is here, and with it our hot rebate season for Blue Frog installers. 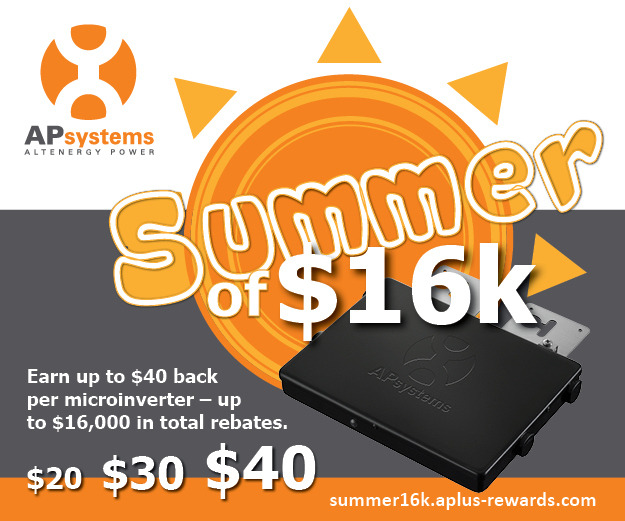 Blue Frog is partnering with APsystems to offer the “Summer of $16K” promotion: June 1 through Sept. 30, earn up to $40 back per microinverter – up to $16,000 in total cash, no-wait rebates. Purchase and install at least 20 of Blue Frog/APsystems microinverters (all models are eligible, including our blue-label Made In Washington micros and APsystems black-label units) and then register your installation(s). Your installations will show up in your online APsystems account and you’re on your way to 16K! Rewards are based on tiers and as you install, your total grows and your rebate grows with it. Start out with a $20 rebate per microinverter, and once you reach 50 units installed, you’re getting $30 for each additional microinverter you install. Will you do more than 15 residential installations this summer? If so, you might hit our top tier! After 250 micros installed, you’re getting $40 back per unit – that’s $560 in your pocket on an average residential installation. And if that wasn’t enough, you can also get an additional $500 for trying out our YC1000 three phase microinverter (min. 15kw). That brings the summer’s rewards to $16,000 from APsystems! Visit the promotion website, summer16k-promo.aplus-rewards.com, for details on payouts and program terms and conditions. With $16,000 in rewards, there’s no better time to bring Blue Frog/APsystems microinverters to your solar customers. Place your volume order today, and watch the rebate heat up through the Summer of $16K. Blue Frog now offering APsystems ‘black label’ microinverters – SAVE BIG! Installers – if you are like the advantages of a microinverter but don’t need the financial incentives(or extra expense) from the APsystems Made in Washington microinverters, then check out our “black label” inverters. These are virtually identical to our Made in Washington inverters(identified by the blue label) but are much less expensive. Have the utilities slowed down on incentives in your area? No problem- We have the solution: our non-Made in Washington inverters(with a black label) are significantly less expensive than our Made in Washington units(with the familiar blue label). 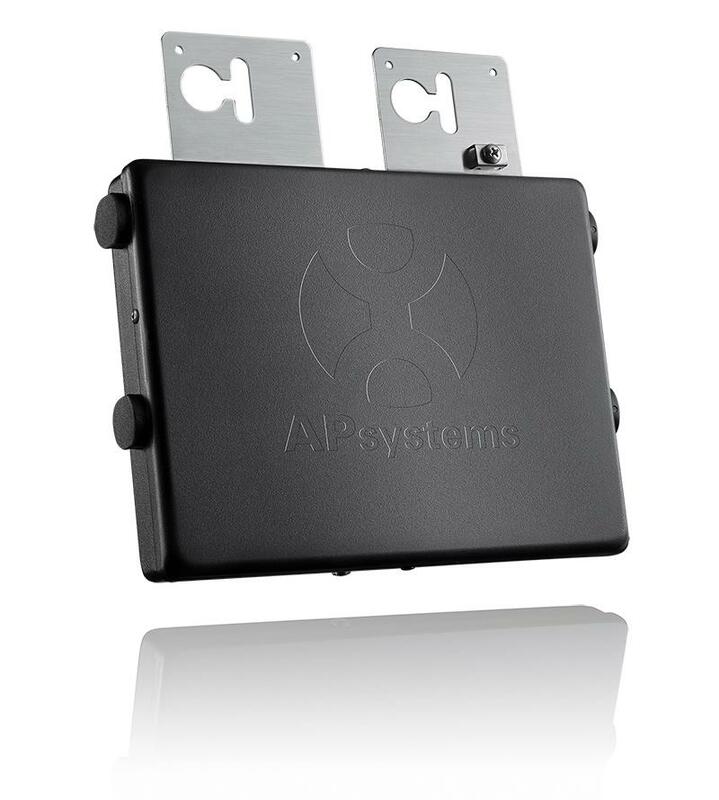 Installers – Blue Frog Solar now offers APsystems “black label” (non-MIW) microinverters. And don’t forget: Blue Frog is offering outstanding volume pricing for our registered installers on our regular MIW units through May. Become a Blue Frog/APsystems registered installer and take advantage of our aggressive tiered pricing – get our YC500 microinverter at an unbeatable discount after rebate. Buy more, and save bigger! Call us at (206) 855-5149 to place your order today for prompt fulfillment. A deal so good, we had to make it last! Blue Frog Solar is offering outstanding volume pricing for our registered installers – now through MAY 2016. That’s right — become a Blue Frog/APsystems registered installer and take advantage of our aggressive tiered pricing – get our YC500 microinverter at an unbeatable discount after rebate. Buy more, and save bigger! And remember: All certified Made In Washington microinverters sold by Blue Frog Solar carry a 25-year warranty backed by APsystems, the global leader in solar microinverter technology. Install for your customers with confidence. Volume pricing extended through May – don’t wait another day! Call us at (206) 855-5149 to place your order today for prompt fulfillment. Turn up the volume and save big! Blue Frog Solar is offering outstanding volume pricing for our registered installers through April 2016. Become a Blue Frog/APsystems registered installer and take advantage of our aggressive tiered pricing – get our YC500 microinverter at an unbeatable discount after rebate. Buy more, and save bigger! And remember: All certified Made In Washington microinverters sold by Blue Frog Solar carry a 25-year warranty backed by APsystems, the global leader in solar microinverter technology. Install for your customers with confidence! See BlueFrogSolar.com or call us at (206) 855-5149 to place your order today for prompt fulfillment. 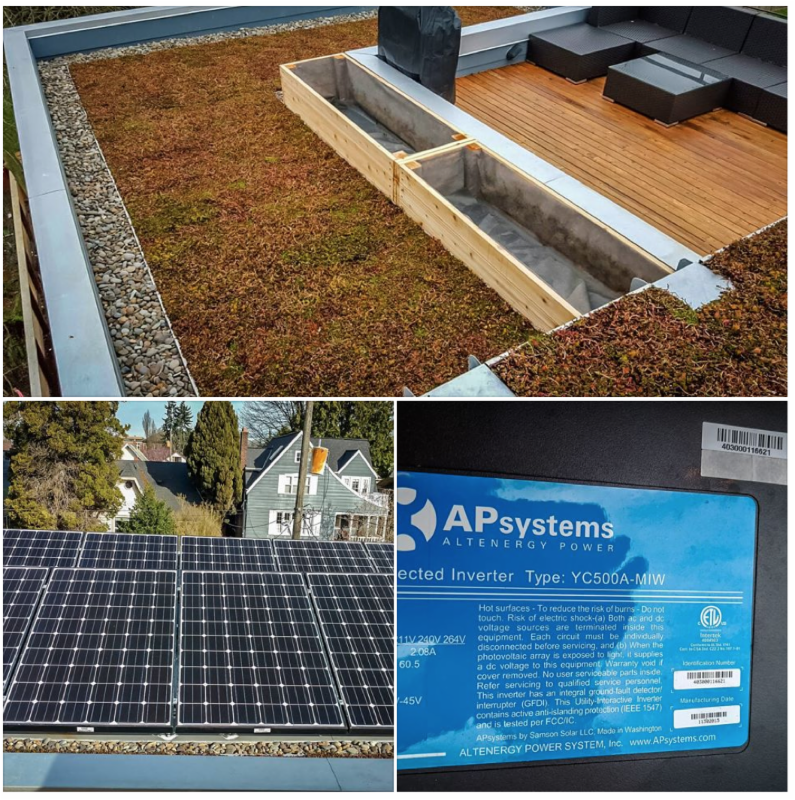 Blue Frog microinverters and iTek modules are key features of a forward-thinking green roof in Seattle’s Meridian neighborhood. The 3.36kW array by installer Multifacet Group of Bellevue includes Blue Frog/APsystems YC500-MIW microinverters and iTek 280W modules. The rooftop terrace and garden on this custom 3,800 sf. home features Etera’s lush Sedum Tile all-seasons mix. Homebuilder is Green Canopy Homes of Seattle. 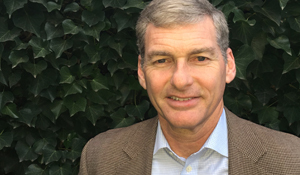 Solar industry veteran Andrew Nichols has joined APsystems as Senior Vice President of Sales, USA. Andrew comes to APsystems with over 30 years in high technology and alternative energy sales. He most recently served as Vice President of Worldwide Sales for SolarBridge Technologies through its successful acquisition by SunPower Corporation. Levelized Cost of Energy – the total cost of a PV system’s installation and maintenance over its lifetime, divided by the amount of power produced – is the industry standard for measuring a PV system’s value. Individual components like Blue Frog/APsystems microinverters are key to the formula. In its new story “LCOE Heroes: How inverters drive down PV levelized cost of energy,” Solar Builder magazine considers how the proprietary APsystems chip-based design means better long-term value for installers and end buyers. It all starts with the Field Programmable Gate Array chip, which does so much of the microinverter’s work that each APsystems unit can be built with about 30 percent fewer discrete components than other brands. That means savings at the supply and manufacturing level that cascade into real savings for customers. Find out how the advanced technology of Blue Frog/APsystems microinverters saves money over the life of the solar array – click here to read the story. 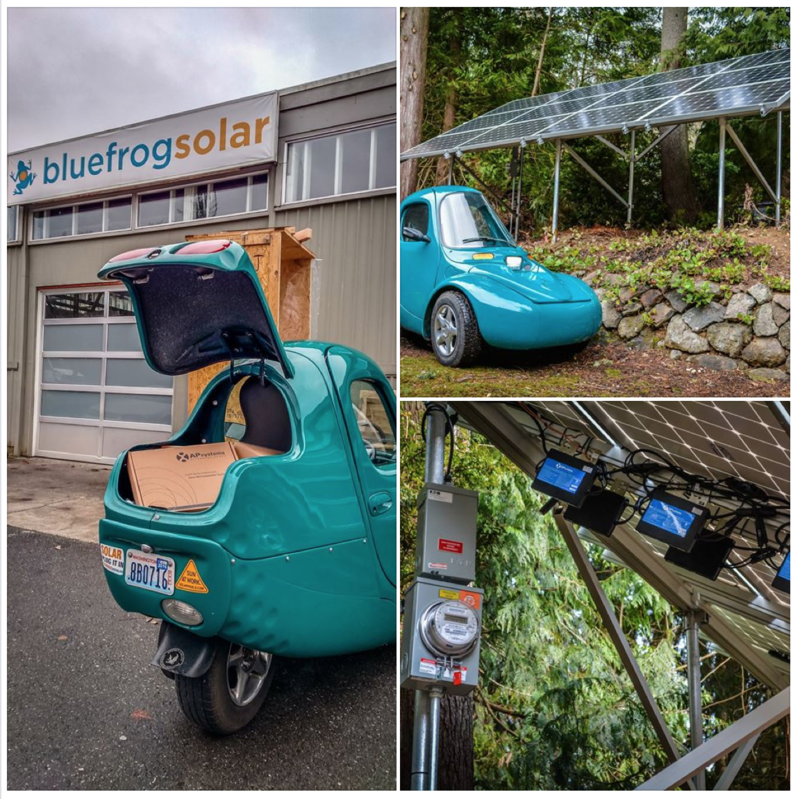 How better to juice up the car than with other certified Made In Washington solar products from Blue Frog/APsystems and itek Energy? Sunergy’s senior solar design consultant and Kitsap County and commercial representative, Greg recently completed a ground-mount installation in his own backyard. The array features twelve 290-watt Itek modules and six Blue Frog/APsystems YC500 inverters, with an APsystems Energy Communication Unit and EMA monitoring. Because of tree shading, Greg’s site was measured at 77 percent annual solar access – so the superior efficiency of Blue Frog/APsystems microinverters (compared to a conventional string system) was key to the design. The powerful array is calculated to offset about 34 percent of the electrical use in Greg’s 3,600 square-foot home/office, complementing another solar array already in place. “Because of my beautiful cedar trees, this was a perfect application for the efficiency and reliability of the YC500 microinverters,” Greg says. Sunergy Systems, a leading employee-owned Solar Design/Build Solar Installation firm has completed more than 1,000 installations to date.